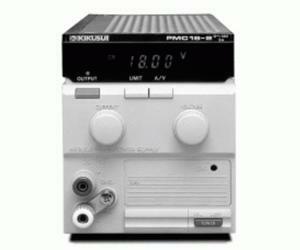 The PMC Series features compact, high-performance, constant voltage, constant current, series regulated DC power supplies. The series regulated design realizes a highly stable output with a low level of output noise. The LED digital meter, which is legible even in dimly lit locations, and electronic switches that eliminate relay chattering, are also featured in this series.